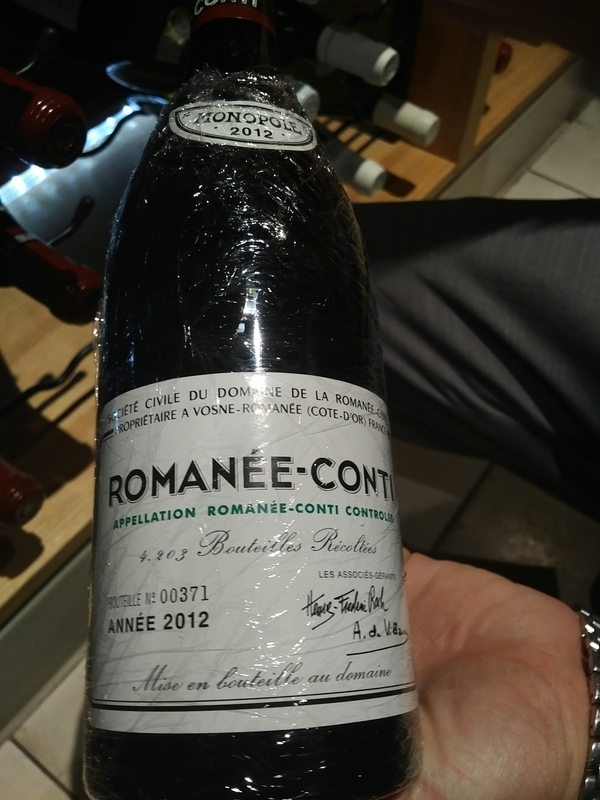 Yes is DRC, one of the most expensive wine in the world, but I don’t know if is the best of it. Spending 20k or more for a bottle sounds a little too ridiculous. Romanée-Conti vineyard is one of the top Premier Cru in Burgundy together with La Tache. The soil is mostly iron rich with limestone and marlstone. All the work in the vineyards are done by hand and no machine allowed. The grapes are 1oo percent Pinot Noir. The DRC popularity is not because of the quality at least not just that, but the limit production, only a few thousand cases.And here were the hunt starts to just get a bottle is like wining the lottery. Last night in Sacramento at Ella’s restaurant I asked to my friend sommelier to take and just hold in my hand because to buy it I need to rob a bank and honestly I don’t know if I would spend all those money in wine even if I could. Previous Post Couples that Drink together stay together.